Andreas Dietzel works for Innovation Norway, a branch of the Norwegian government that supports start-up companies. Andreas works in Boston, MA where he assists Norwegian healthcare and life sciences companies in their U.S. market entry efforts. 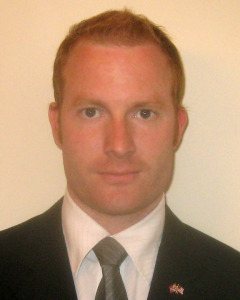 Andreas has prior experience from management consulting, an M.Sc. in Molecular Genetics from the University of Oslo and a Graduate Diploma in Entrepreneurial Management from Boston University’s School of Management. Innovation Norway promotes nationwide industrial development profitable to both the business economy and Norways national economy, and helps release the potential of different districts and regions by contributing towards innovation, internationalisation and promotion. 1. What prompted you to pursue entrepreneurship and, specifically, to join Innovation Norway? Andreas: It happened almost by chance. I had finished my M.Sc. degree in Molecular Genetics, and the only thing I knew was that I did not want to pursue a career in research. A friend of mine suggested I sign up for the Norwegian Entrepreneurship Program which is a collaboration between the University of Oslo and Boston University’s School of Management to train Norwegians in entrepreneurship. For lack of any better ideas, I signed up. Through the program in Boston I soon discovered an interest for business and entrepreneurship that I did not know I had. The idea of sales was a non-subject among molecular geneticists. Through a recommendation from a professor at BU’s School of Management I ended up in an internship at Scientia Advisors, a life sciences management consulting firm in Boston where I was hired full time. I worked there for almost two years before I got an offer from Innovation Norway, where they had a position that fit my profile with a mix of technical and business experience in the life sciences. Being from Norway it sounded very interesting to me to get to work with Norwegian clients. Innovation Norway is a government agency that aids and promotes Norwegian start-up companies, and in my case helps Norwegian healthcare and life sciences companies enter the U.S. market. Andreas: Since I work with entrepreneurs and I am not one myself, my day is probably more typical than it would be if I was running my own business. When I am working on a client project, that has my full attention, whether it is screening competitors or interviewing potential customers for the Norwegian company. Between projects I travel to Norway to sell our consulting services or I spend time reading industry news and reports as well as general science and business articles. I also spend a lot of time networking within healthcare and life sciences in the Boston area. I also use Google Docs a lot. Andreas: Unfortunately I’ve yet to find a trick that works for me. When I was in grad school I was asked to do a mundane task; moving a computer monitor down to the basement. I did the task immediately – it took me 2 minutes. Later that day the professor asked me where the computer monitor had gone, and I said I put it away like I was asked to. He was very surprised and said he didn’t expect the task to be done for at least another couple of days (seriously!). Then and there I knew that academia was not a place for me. I finished my Master’s and never looked back. Andreas: This is not really applicable to me. When you work for a government agency that aids entrepreneurs, a bad economic climate will have clients beating a path to your door. Andreas: Since I don’t really have any entrepreneurial accomplishments to write home about (yet), I have to go all the way back to the neighborhood video rental “business” I had in my early teens. I’ve always been a movie buff, so I bought a lot of VHS back in the day. No marketing, just pure “you can rent the same movie from Andreas for way cheaper and keep it for as long as you want”-word-of-mouth. Andreas: I live my life by the story of the philosophy professor with the empty glass jar and his questions on whether the jar is full after adding rocks, sometimes called “The Important Things In Life”, and I also re-read Mary Schmic’s “Advice, Like Youth, Probably Just Wasted On The Young” on a regular basis. The Committee for Skeptical Inquiry – they promote science and critical thinking. Mother Jones – independent reporting on politics, news and the environment. Also, the following will receive donations as soon as I do hit it big! Andreas: Without a doubt Paul Levine, partner at Morgenthaler Ventures and Joe Tasto, Director of Business Development at Ventana Medical Systems. My current manager Karl Skogen has given me a lot of great leadership advice as well. Andreas: If you want to be an entrepreneur, find your passion and figure out how to make money off of it. Talk to whomever you think might want to pay for what your selling, and listen to them – listen good.